I received products for review from Mouth Watchers. The opinions within this post are of my own and I was not influenced in any way. Please do your own research before purchasing products or using services. Your opinions and results may differ. I'm sure we're all aware that oral hygiene is important. And, just because we travel somewhere this summer, it doesn't give us permission to neglect our teeth. Don't be that guy! When you're on your summer adventures, consider taking the Mouth Watchers Travel Toothbrush along with you. It is available in two colors - blue and red. Mouth Watchers, the company, is known for their Antimicrobial Technology that's infused into the bristles, eliminating bacteria growth and leaving your brush clean for every use. 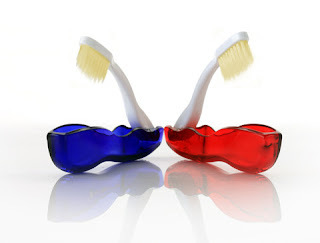 The unique dual flossing bristle system reaches down into to hard to reach areas, where cavities form, and sweeps out cavity and gingivitis forming debris. 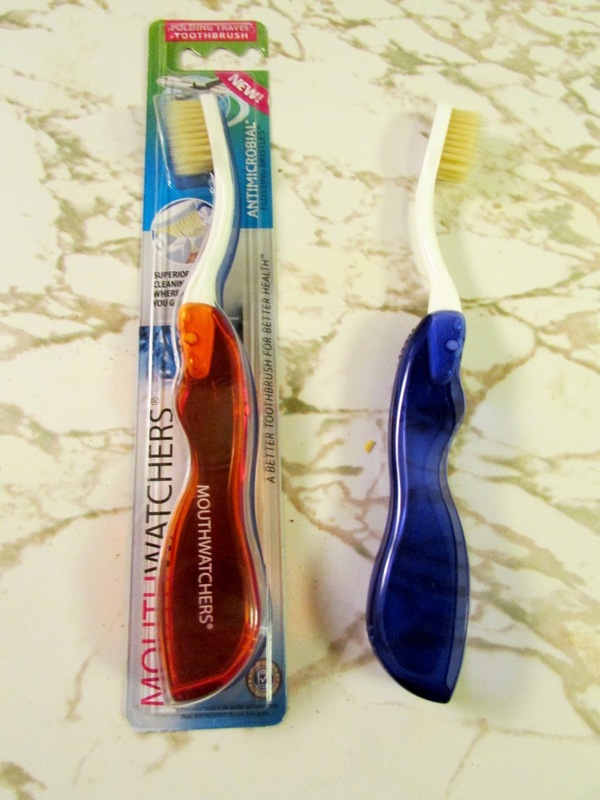 The Mouth Watchers Travel Toothbrushes have the same features as the manual toothbrushes, but they are available in a travel size/foldable version. This toothbrush eliminates 99.9% of bacteria that builds up on bristles in 6 hours due to the company's silver bristle technology. I've been brushing with the blue Mouth Watchers travel toothbrush and like how it reaches most all areas of my teeth. My teeth look and feel clean. 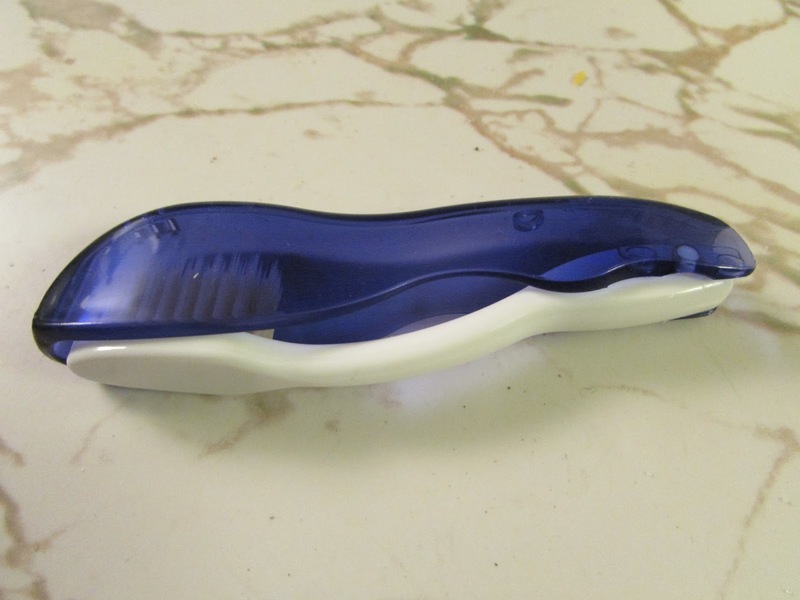 I really like how all I have to do is push the top part of the toothbrush down into the blue casing and my toothbrush is protected from icky stuff. It's convenient to carry with me on my travels. I will be using the red Mouth Watchers Travel Toothbrush when I go on the mission trip to Ecuador in September. It won't take up much room and I don't have to worry about the bristles coming in contact with other stuff.